This story is a must-read! Writers by Ezra Klein and Susannah Locke came up with maps, charts, and historical information about how food in America has changed over time: where it's made, what we eat, how it has evolved and more. You will not be disappointed. 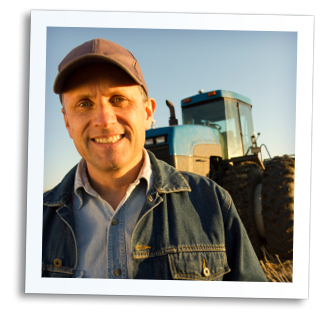 Farm Record Keeping – How Can Your Farm Benefit from Better Financial Management? Keeping track of financial information for your farm is crucial to generating profits. Tracking that information allows you to analyze the numbers, so you can see what’s working and what needs improvement. If you are currently using manual methods or a very basic bookkeeping program, you can benefit by taking your farm record keeping a step further. You might be amazed at the results and growth you will experience by analyzing your numbers, and basing your decisions on those numbers. Here are some of the advantages to upgrading your financial management system. Easily provide your banker with any documents needed. An agricultural financial management system, when used properly, allows you to keep track of important information. When you need to provide documents for loans or loan renewals, that information is already stored within your system, so you can pull up reports such as a balance sheet or income statement with ease. Knowledge is power, and when you have accurate information available at your fingertips, you are able to plan for future profits based on actual history, using tools like budgeting, asset information, and cash flow analysis. None of these are available with manual record keeping methods. Track each enterprise as its own entity for analysis. With manual recordkeeping, it can be hard to know how each area of your operation is performing. By implementing a computerized farm record keeping system, you will be able to see which of your profit centers are performing poorly and either improve or eliminate them. Also, knowing which areas are performing well will give you insight into what you should continue to focus on for maximum profits. Distribute expenses to the right profit center. Wondering what your true cost of production is? Understanding your cost of production gives you valuable insight that makes it easy to see where cost cutting or pricing adjustments are needed. Using a good Ag financial management tool allows you to distribute costs to multiple profit centers or production centers from one transaction, so you can run reports and understand your true cost of production. And with this information in hand, you’ll be on your way to increased profits. As with any process or system, you get out of it what you put into it. Using a better financial management system for your farm record keeping, and making sure you keep it up to date, will send you on your way to increased profits. With your effort and an Ag financial management tool, you can improve your farm’s profitability and be more confident in decision making for your farm. Hello, my name is Pam Hilton and I am the Administrative Analyst for Red Wing Software. I have been with Red Wing Software for 30 years: answering phones, taking care of customers or resellers needs, scheduling all our training seminars, trade shows, coordinating customer mailings and mass e-mails, overseeing production of manuals and our literature, CDs and other day to day duties. It doesn’t feel like I have been working in this same industry for 30 years. My husband, Ken Hilton, got me involved by simply asking me if I could come into the office part–time and help out by making copies of our software on the 5 ¼ “ and 3 ½” floppy disks for different computers. Well, that part–time job became full–time and has led me to where I am today. I really enjoy working with the great staff of people we have here at Red Wing Software, as well as visiting with our customers and resellers that call or stop in. I love hearing from our customers over the years and getting to know more about them and their business or farm. When I am not working, you can find me spending my time with our four beautiful grandchildren, family and friends, reading, golfing, walking, collecting Red Wing Pottery, or serving on our Church Leadership Board. CenterPoint Accounting and Payroll customer, Katie Grinstead from Vir-Clar Farms LLC, was featured in the May 7, 2014 issue of Progressive Dairyman. In the article, “Calf Raisers Share Best Practices and Lessons Learned,” Katie shares her best practices for managing the 1,450 cows and calves her family farm raises. To read the entire article, click here. 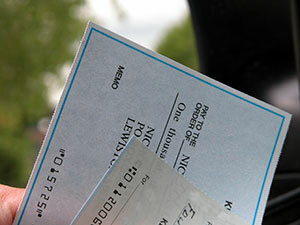 Do You Know If Your Checks Are Protected Against Fraud? Computer Forms, Inc. checks have eight standard security features to protect your company! Identity theft and fraud are continuing problems. Keeping your company’s assets safe is your prime consideration. We will supply checks that include a minimum of eight (up to ten are available) different security features. Computer Forms, Inc. the exclusive provider of checks and forms for Red Wing Software customers offers a Price-Match Guarantee. You can order checks guaranteed to be 100% compatible with your Red Wing Software products and Computer Forms, Inc. will match your current vendor's price on any new custom printed check. Checks must be commercially produced and have comparable design and security features. To place your order, please call: 1-800-458-0158.